I am writing in response to Caren Ray’s recent campaign mailer regarding “water is the issue!” I agree that water is the most important issue facing the residents of Arroyo Grande. I am disappointed the existing City Council has not taken appropriate action which would recognize the severity of our current water crisis. Ms. Ray’s mailer states she supports gray water conversion, that she will work to require water neutral projects, and that she will fight for a moratorium that protects all property rights. All three of these statements are filled with assumptions and are written in a way which supports continued development and leaving current water customers with the burden. The burden is both paying for and acquiring new water sources. Let’s start with gray water. This is not something new. It has been done in 40s, 50s, 60s, through the current decade. The problem with gray water today is it will negatively impact our sewer system and sewer plant by not allowing the solids to reach its destination. This is already being compromised by the low-flush toilets and restrictors currently in use. An overall increase in grey water systems, sound like a good idea, but there are consequences. Grey water is a tool to support new development when there is no savings to our water resources. What is a better solution is to have rain water capturing devices, which can be installed and used for landscaping and non-potable use. The solution isn’t just finding a new water source. We need to use our current water supply more effectively and efficiently. We need to complete the water projects and work on the aquifer recharging with the water we have recycled. Creating a path towards desalination will lead to the taxpayers paying for EIRS, special studies, consultants, and design which will ultimately be proven to be unaffordable. The best solution still, is to capture the water being dumped into the ocean and to recycle our current water. Additionally, the cash for grass program didn’t work. What we should do is reward the people who have used the least amount of water. This reward program, would help re-establish water rates/usage based on actual occupant load rather than the arbitrary assumptions made by the city when calculating baseline usage from 2014 monthly water trends. Ms. Ray also states that future development should be water neutral. It isn’t good enough to require a project to be water neutral, which infers you can trade agricultural uses for new development. What we need to do is require new development to purchase and bring new water sources into our city and keep existing water resources and any potential water savings for our current residents and business owners. In other words, an existing homeowner can add their additional bathroom or granny unit, but needs to retrofit that project and show improvements are truly water neutral. It is not acceptable for new developments to come to Arroyo Grande, and retrofit existing businesses and residences for their own water use and profitability. The new development needs to bring in their own water. Again, this language presents a loophole for additional and further new development. Finally, Ms. Ray’s mailer states she will “fight for a moratorium that protects all property rights.” Synonyms of the word moratorium include: ban, prohibition, suspension, postponement, stay, stoppage, halt, and freeze. Given this definition it is misleading to say that there are development property rights when you have a moratorium in place, even if the moratorium is short lived. You cannot have it both ways. There is either a moratorium or there isn’t. A moratorium could be tiered—like Pismo Beach instituted. What is important is to establish critical thresholds of our existing water resources and identify when we have hit the threshold of completely restricting new permits being issued. Overall these thresholds need to align with the time frame of securing new water resources or rites. So, if it is going to take eight years to complete the water recycling projects, then we need to have the wherewithal to limit or cut the issuance of permits based on this time frame. If you have questions related to this opinion piece or have other concerns please connect with me by emailing me at mack4agcc@yahoo.com. I look forward to answering your questions. Mr. Mack’s solutions are carefully thought out, practical, affordable and right on the mark. This is how good governance works. We must budget the water like “normal” people budget their money. You must objectively study how much WE (yes WE, water belongs to everyone) have. We must study how much WE use per household/business in SLO county on a daily basis. We should study if more can reasonably be done to continue to conserve. We must limit the “spending” of water in all ways possible– no more building crap we don’t NEED! NO MORE WINERIES RIGHT NOW! Just like with money, we cannot count on water we do not yet have. Any estimates on rainfall should be based VERY conservatively. As for gray water, most families cannot afford gray water systems. I think it is reasonable enough to ask families to re-use dish water, bath water, as able for plants/landscape. I also think perhaps the City could try and get “deals” on rain water collection barrels or systems, so that they could sell/grant to residents to safely collect rain water for appropriate use. Current rules and laws making catching rain water illegal. WTF??? I understand that we must be careful of stagnant water due to mosquitoes, but what better way of getting more water than catching it when it literally falls out of the sky? Maybe AG businesses should do this if they don’t already. I’m not a farmer, so I don’t know what they do about water…. Desalination at the South San Luis Obispo County Sanitation District was studied in 2008. The determination was made that it was $38M to build (before ever getting regulatory approvals for an ocean intake — a very high hurdle) with $5M in annual operating costs. The study was flawed in that it located the desalination plant on the current wastewater plant location…that site is full/overbuilt. So any building of a desalination plant would have to be done offsite with real estate costs and environmental documents/permitting in today’s regulatory climate to consider. It is more economical to pick the low lying fruit. Conservation, recycling, rain water catchment, etc. equates to managing the water you have. Local Clowns Still Trying to make Good , Get the Net .. Say was ‘NT that John Mac who had a Conflict of Interest a years or so ago??? “The enforcement division will not open an investigation into this matter,” according to the FPPC letter to Tompkins. John Mack is a solid candidate. 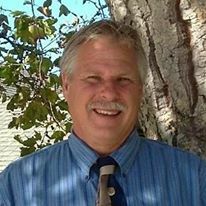 He is knowledgeable and will make decisions for the betterment of Arroyo Grande. Mr. Mack say it like it is! There is no double-talk, or sitting on the fence to get votes from everyone. I agree, we all ready have in process to recycle our water, and that is our first step. But we need to protect the 18 month supply we have left, and a moratorium is prudent at this time. We need someone who will protect the rights of the current residents. We should come first, we are already in a Stage 1 Water Emergency. The game playing that occurred at the City Council meeting addressing our serious water reserves. Their NO vote on the moratorium by Kristen Barniech, Barbara Harmon, and Guthrie shows they do not have our best interests in mind. We need a City Council that will make decisions on what is best for Arroyo Grande, and not their back pocket developers. We need a positive change! Jim Hill, John Mack, LeAnn Akins, with Tim Brown is what our City needs.